Photo by Florian Kainz, via Google. by Florian Kainz, Googler. 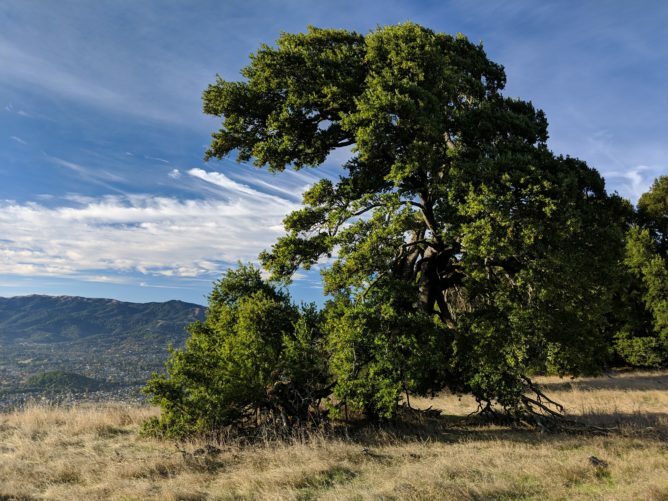 If you use Night Sight during the day, and are willing to hold still after shutter press, you'll get the denoising and resolution improvements of Super Res Zoom, as shown in this landscape shot in Marin County, California. Given the sun has set, I can't test the daytime improvements for myself, but the results advertised in the gallery do seem significantly sharper and less noisy in the darker parts of the image than I'd expect on a close crop. Individual leaves, distant buildings, and blades of dry grass stand out with greater contrast, and the shade of the tree is dark but free of noise, no matter how close I look. 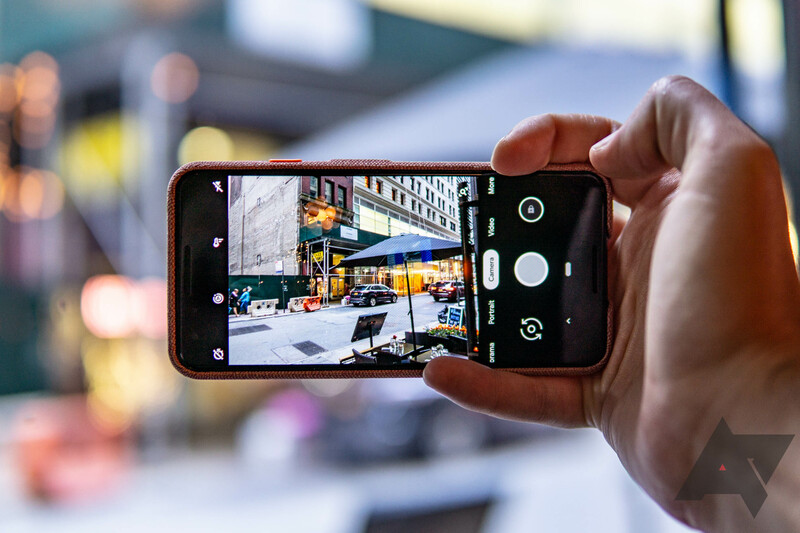 If they only cost is a steady hand, I bet Night Sight ends up with plenty of daytime users. Maybe the mode might even need a new name.